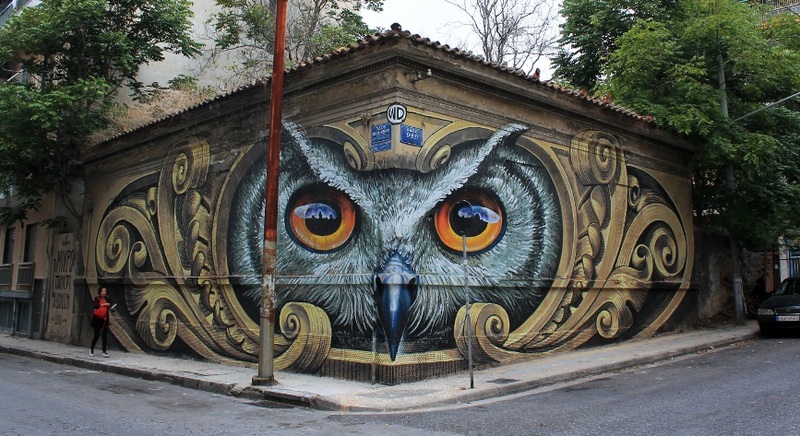 Whatever your opinion, graffiti surely is one of the things to see in Athens! It is hard to find a wall in Athens that has not been sprayed on. Some artists quickly spray their ‘tag’ (artistic name) on a tiny empty spot, whereas others convey a deeper message. 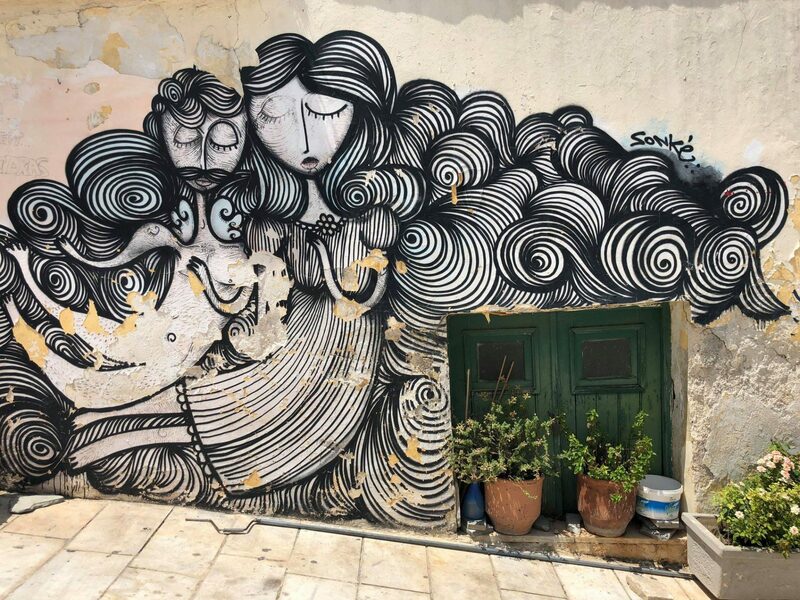 Often inspired by the crisis, street art in Athens has increased a lot in the past couple of years, partly due to the economic crisis that compelled many to express themselves. Things to see in Athens… late at night! Some people condemn graffiti, calling it vandalism, but it can also be a way to brighten up a dull neighborhood. A lot of the works are sprayed on the shutters of shops and are only visible after closing hours, which gives you a perfect excuse to go for an evening walk and end your day in a lovely cocktail bar. In every neighborhood you can find small works of art, but well-known artists such as WD and INO have turned large walls into stunning murals. 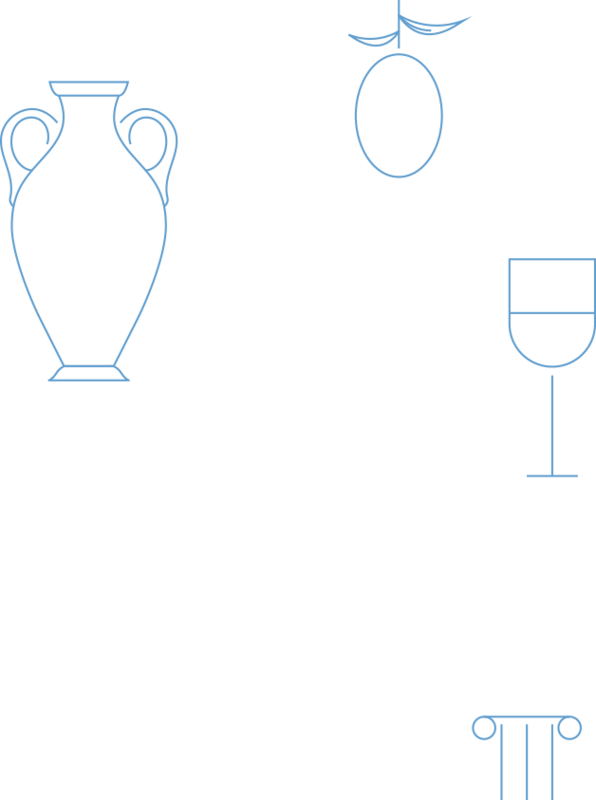 We have listed some works that we consider worth visiting when you are in Athens. These artists have certainly taken graffiti to a new level! 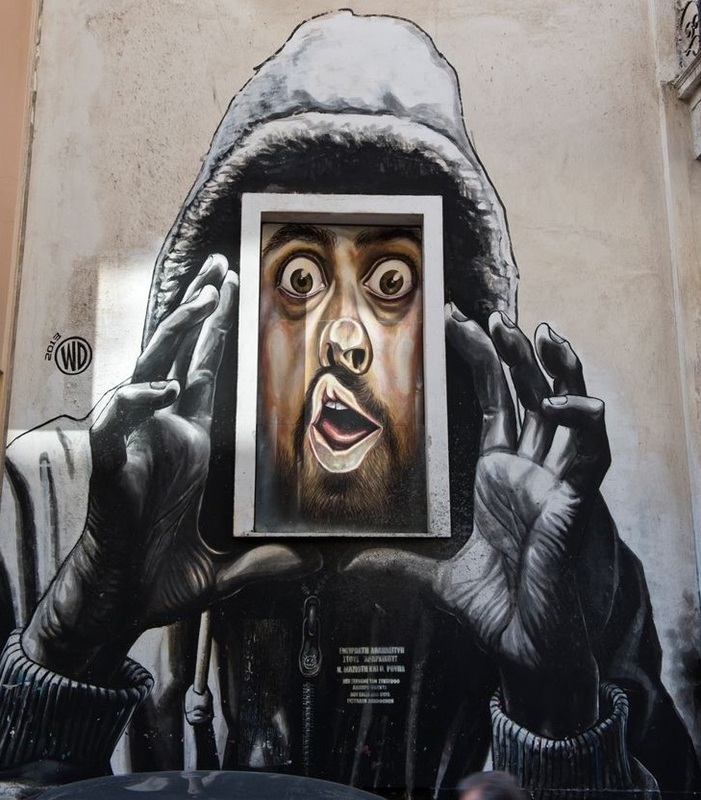 This eye-catcher is to be found in Exarcheia, a part of the city that is not only known for its edgy alternative vibe, but also for its anarchist bookstores and music stores with rare gems. With those come politically charged murals that reflect the thoughts and feelings of many. In this neighborhood you will also encounter many rebetiko clubs, (roughly translated as ‘Greek blues’) and other alternative clubs. This area has so many stories to tell and if only the walls could speak! ‘Capture’, our last work featured by WD, is on Arachovis Street. If you happen to travel to one of Greece’s beautiful islands, you may depart from Piraeus Port. You immediately spot the large mural made by INO that was sponsored by National Geographic for a documentary. 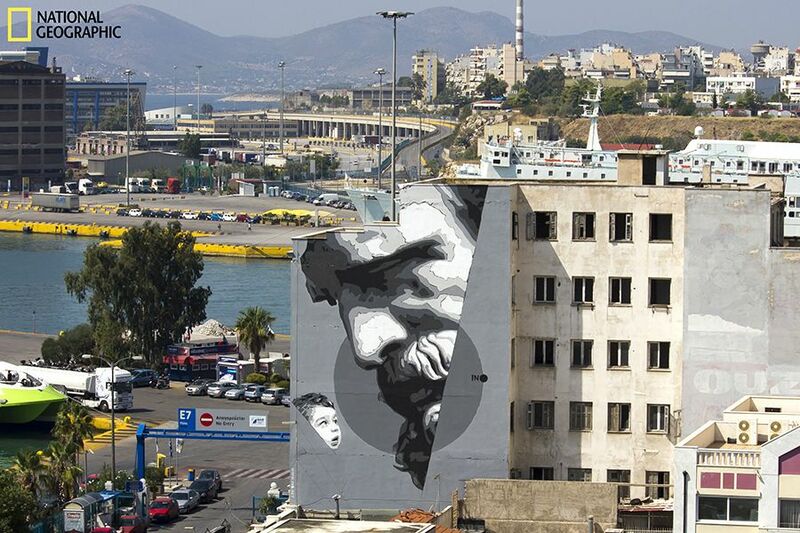 INO is a highly respected graffiti artist who has studied at the Athens School of Fine Arts. 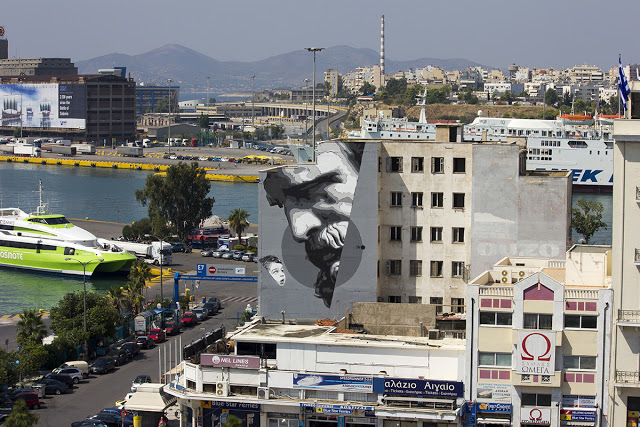 He has also decorated a corner of the Onassis Cultural Center at Syggrou Avenue. All over the city you will find black and white drawings of girls with wavy hair and a melancholic expression on their faces. These works belong to Sonke, who started drawing flowers and girls after his girlfriend broke up with him and disappeared from his life. 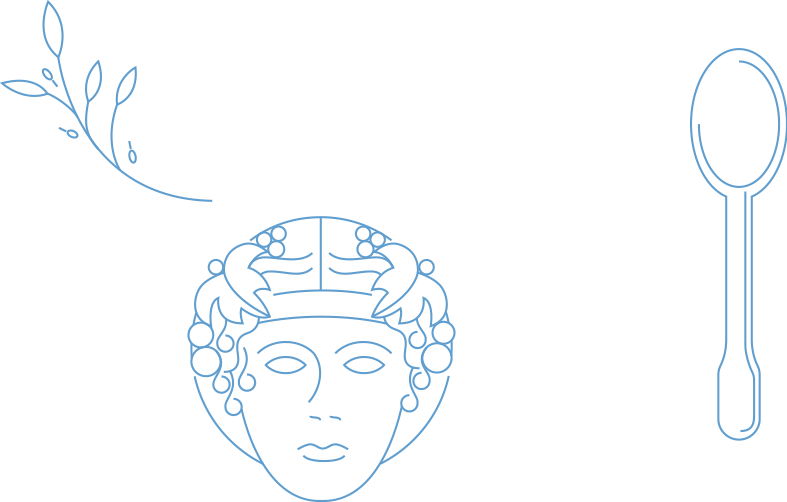 The mermaid-like drawings have become his trademark and have shown up in other countries as well. Psyri neighborhood is an old area in the city, that was quite run down until young people started opening bars, small tavernas and ‘mezedopoleia’ (traditional restaurants where you can treat yourself to many small bites), clubs, small boutiques and quirky shops. In combination with the happy disposition of the locals and the abundance of graffiti, Psyri will easily win your heart. 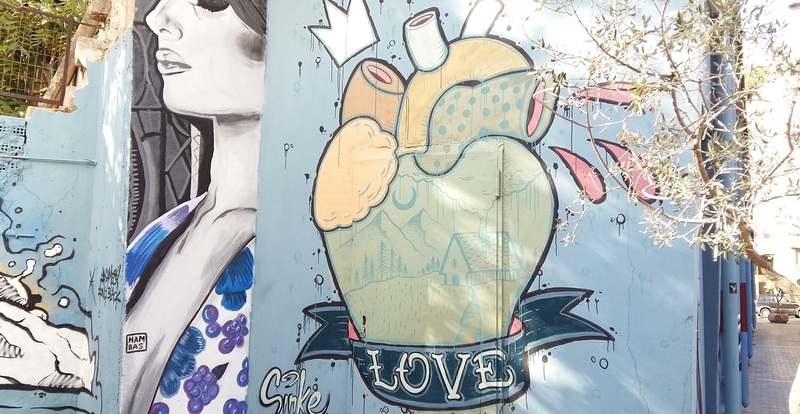 There is one little alley that is a true hidden gem when it comes to graffiti: Loukas street. This used to be a dirty, dark alley until the neighboring hotel organized a graffiti/street art event to brighten up this little street. Many artists joined in at the event that had been themed ‘Valentine’s Day’ and as a result, this former dark alley has become an ‘open-air, walk-thru museum’. Did you enjoy the stories behind the ‘things to see in Athens’? 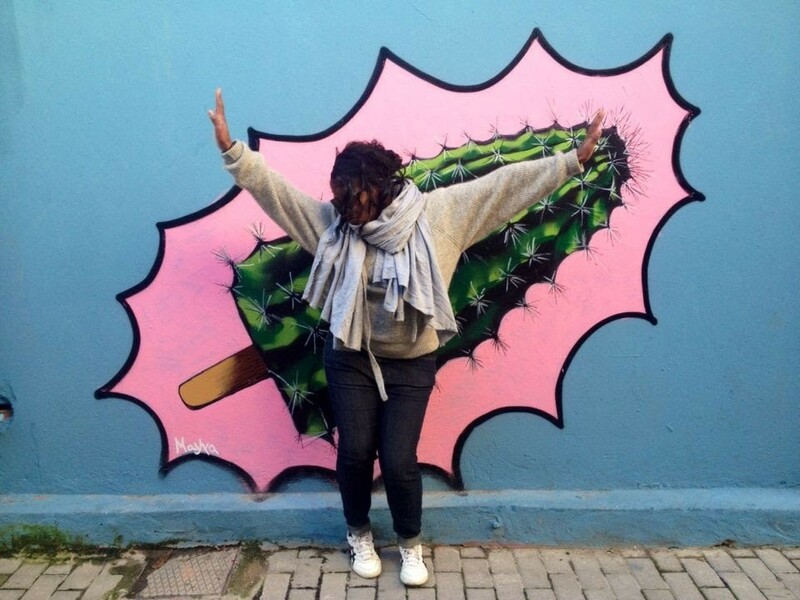 Would you like to discover more graffiti in Athens? Let us know!